New Delhi, April 4 (CRICKETNMORE): Off field controversies and issue with the core saw Hardik Pandya miss quite a few games for the country. But the 12th edition of the Indian Premier League has seen Pandya return with a bang and with the World Cup round the corner, that makes the national selectors feel relieved. The selectors are keeping a close eye on the performance of the players in the ongoing T20 league and the all-rounder's match-winning show on Wednesday brought them immense joy. Speaking to IANS, one of the national selectors said that whatever happened in the last few months were unfortunate and Pandya's performance in the ongoing IPL is a clear indication that he has left the past behind and is looking to make up for lost time. "The World Cup is round the corner and as selectors it is pleasing to the eye when you see someone like Hardik doing so well for Mumbai. It clearly shows that he has moved ahead and is focusing on his game. Whatever happened cannot be undone. But how you learn from those mistakes and rise is what is a true test of your character," he said. "He has that X-factor. He is fearless in his approach. Say, you are faced with a situation in the World Cup when you have an improbable chase on hand, he could win you the game. Or if you need quick wickets, the captain can always hand him the ball. He is one of those guys who loves to rise to the challenge. An in-form Hardik is always an advantage for the Indian team. 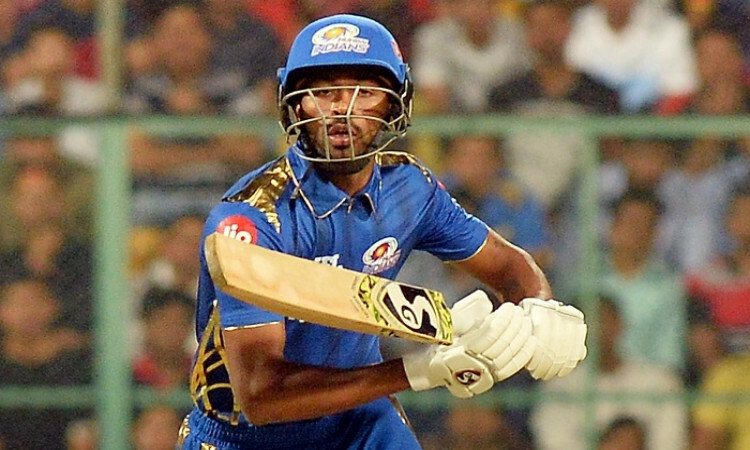 "Also, if you look at how he is playing for MI in this IPL, it definitely augurs well for the national team. The World Cup is round the corner and momentum is an important thing. A good show here will see him carry confidence into the showpiece event," the source told IANS. "These seven months weren't easy and I wasn't sure of what to do. My goal is to keep performing and hopefully, help India win the World Cup," Pandya said after his efforts against Chennai on Wednesday.